The Honda Miimo (Miimo = Me Mow. See what they did there?) 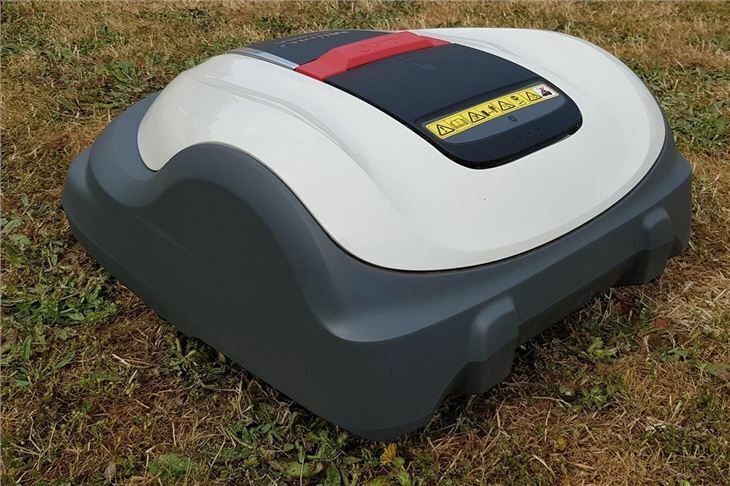 range of robotic mowers can keep everything from the smallest suburban lawns up to 3000m2 paddocks looking neat - without you having to lift a finger or pull a starter cord. The model that we’ve been testing out for this review is the biggest, the Miimo HRM3000. It retails at around £2600, but don’t let that rather steep price put you off immediately - there are a few reasons why Miimo may actually make more financial sense than it first appears - but we’ll come to that later. 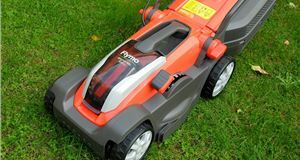 As with Honda’s other mowers, there’s a number of different options in the Miimo range. There’s the entry-level Miimo HRM300, which starts at around £1500. That will take care of gardens that are up to 1500m2. Then there’s the Miimo HRM500, which will cover up to 3000m2 and retails for around £2350. At the top of the range sits the £2600 Miimo HRM3000, which hooks up to your smartphone and will take care of 4000m2 lawns. Under the sleek plastic lid is an electronic control panel to adjust settings and the three cutting blades, which are connected to a metal disc. Plus the motors. 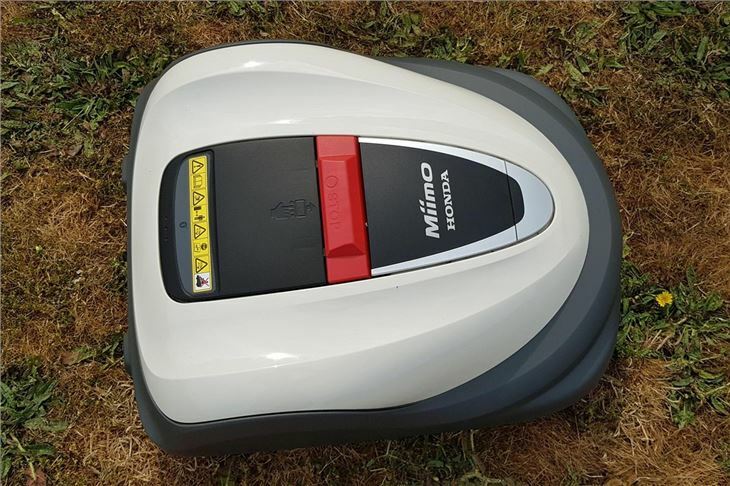 What makes Miimo stand out from other robot lawn mowers is the motor set up. 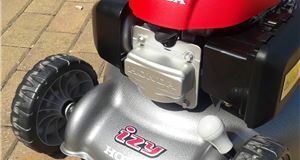 There’s a 25W motor to the cut the grass and a 10W motor on each of the two wheels, which makes it very manoeuvrable. Being electric, you do need an outside three-pin socket in order to work - Miimo won’t be suitable for more remote locations. Installation takes about an hour and is incredibly simple. An approved installer will come out and lay an underground wire around the boundary of your lawn and any permanent ‘obstacles’ that you may have in the garden. This is then connected to the charging station, which creates a signal to Miimo as to where the boundary is. Without this wire connected, Miimo can’t run. With that in mind, it’s best for this installation to be done earlier in the season, when the ground is soft and the wire can be easily buried. In the height of summer it can be harder to bury and there’s the chance that the wire could be nipped by Miimo. Should that happen, there are these inexpensive Miimo wire repair kits on Amazon. Once this is done, Miimo is up-and-running within minutes. It runs almost silently, too, so it’s easy to forget that it’s there. Out of the box there’s only a few settings that need to be fine-tuned, such as cutting height and the cutting pattern and then it’s off. 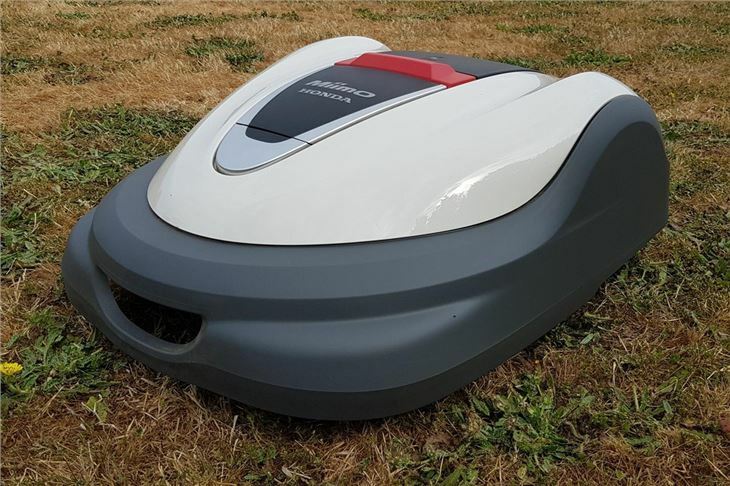 All being well, that’s it as far as you’re concerned - Miimo will go about its work day-in-day-out without you giving it a second thought (unless you want to), mowing almost every day to take a small amount off the top of the lawn, which then fertilises the grass as the months go on. The clippings are so small you won’t even notice them. You’ll get around 90 minutes of mowing out of Miimo HRM3000’s lithium-ion battery and it takes just 45 minutes to recharge before it’s off again. It works out for itself when it’s about to run out of charge and will come back to its charging station - without you having to do anything. 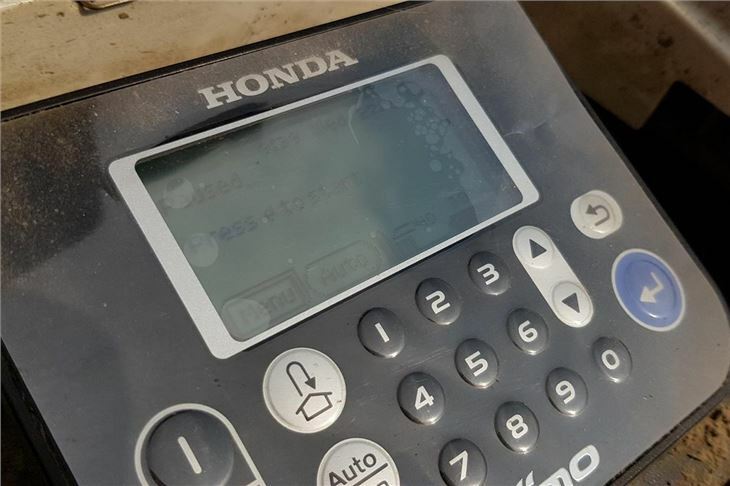 During its time on test with us there was never an issue with it getting back and recharging itself. It’s speedy too - getting around the garden at quite a pace. 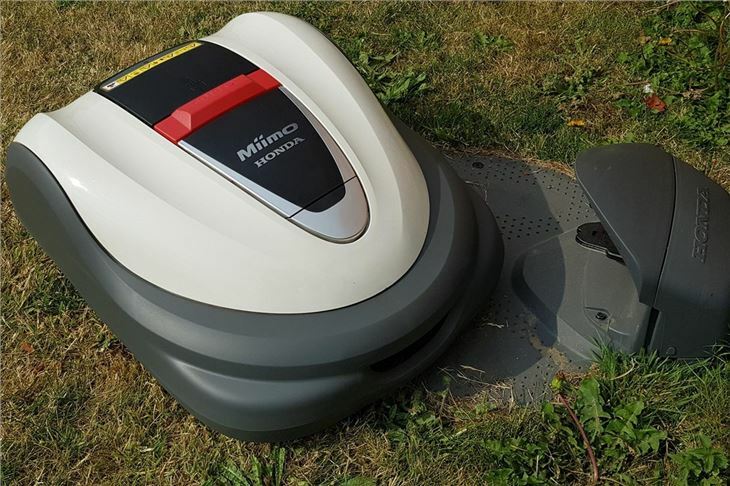 Miimo comes with a seasonal mowing programme pre-installed, which means it’s busier in the the spring and summer and takes more of a rest in the autumn and winter. This can be tailored to your needs - for instance, you may not want Miimo to cut at the weekends when you’re using the garden. You can also select a few different cutting patterns. Random cutting is just that, Miimo will cut the lawn in random lines (which may - initially at least - leave some interesting patterns on your lawn). 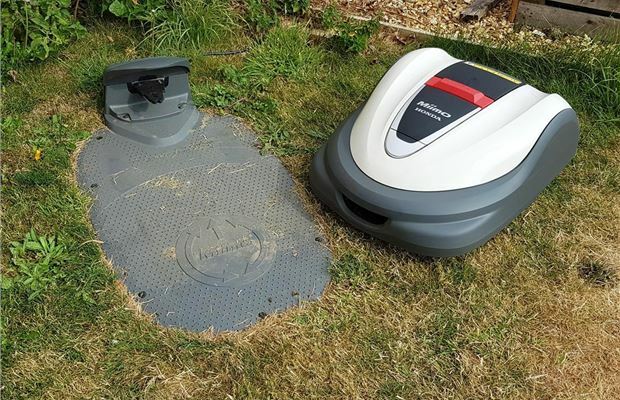 Direction Cutting uses neat zigzags to cover the lawn and Edge Cutting mode ensures that Miimo does a full sweep of the boundary wire so that the edges are tidied-up. Spiral Cutting mode is designed for longer grass - Miimo will put more load onto its blades and cut in spiral pattern. 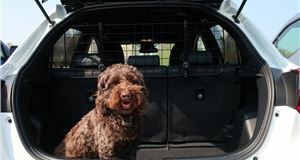 Safety is obviously a key concern - particularly if you have animals and children in your garden - and Honda has this covered. The bump sensors will cause Miimo to stop, reverse a little and carry on in a different direction, while other sensors pick up if it is lifted off the ground while in operation and shut it off. It is worth keeping your lawn as free from obstacles as possible though. Miimo will stop if it bumps into larger obstacles, but if you leave a hosepipe out, it will happily nip a neat little hole into it. After just a few weeks with Miimo, you can really see the difference in the lawn. It takes a small amount off the top regularly, so you have a consistent short and even finish - and maintained to that level. You never get to the stage where you think that the grass has gotten a little too long, as Miimo has already taken care of it for you. It also doesn’t need cleaning (though it can just be rinsed off) and can be left out in all weather. The only maintenance it needs is a quick check-up once a year, mainly to replace the blades. It also comes with a two-year warranty. Honda’s slogan for their robot is “Leave it to Miimo”, and that couldn’t be more apt. The Honda Miimo isn’t cheap. This is one of those cases where you get what you pay for and, while you won’t find any bargains here, you will get a high quality product that does exactly what you expect to. 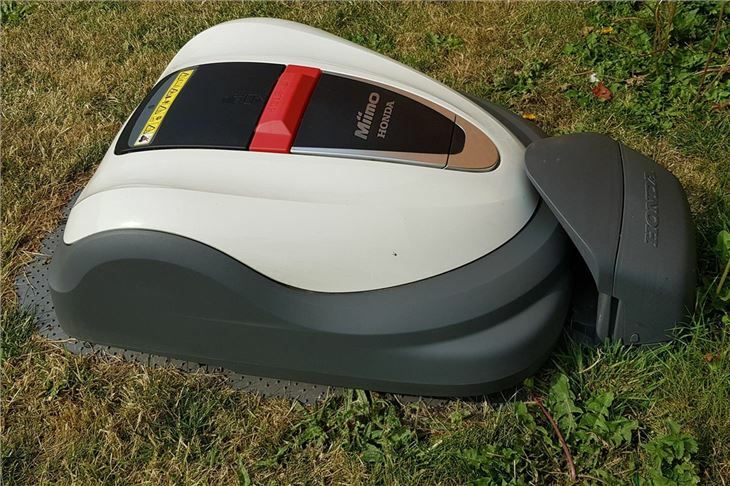 Although the most expensive in the Miimo range, this HRM3000 model could actually make the most financial sense - particularly if you’re someone who sees mowing as a chore or you’re away from home a lot and it’s difficult to keep on top of cutting the lawn. 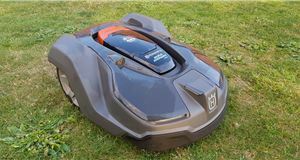 This top model can cover very large gardens, where the comparison would really be with a ride-on mower. Miimo squares up incredibly well on price here, as even Honda's base-model ride-on will set you back upwards of £3000, and that's before you even consider the fuel and servicing costs. 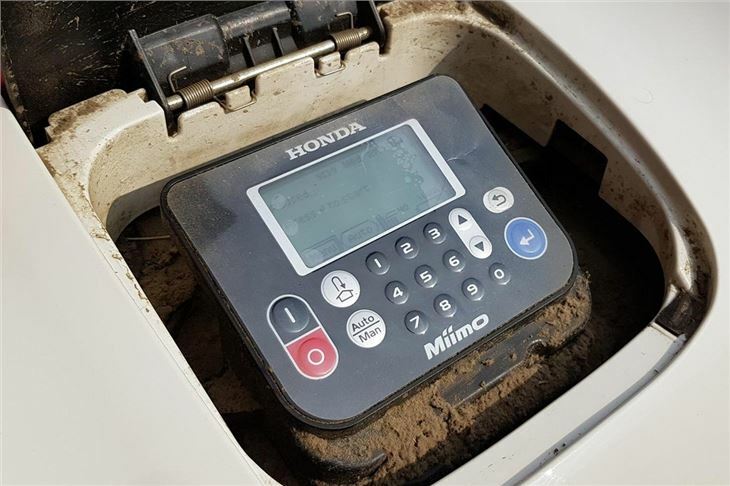 During the mowing season, it wouldn’t be unusual to spend £60-£70 on fuel, plus £250-£300 on a service, whereas Miimo can charge itself again and again all year long for around £15 and requires next to no maintenance. Alternatively, if you have someone who comes in to cut your lawn, this mower should pay for itself within about three years.